Cryptocurrencies – sometimes referred to as ‘digital currencies’ – have become incredibly popular over the last few years, and they’re a significant topic of discussion in almost all countries around the world right now. It’s a fascinating concept, as it mostly takes power away from banks and the government, and puts it in the ‘hands of the people’. Now, of course, while cryptocurrencies are based on technology that’s far more advanced than most of us can understand, they’ve become a lot more practical to use in recent years. And one of the newest emerging uses for cryptos, is for online gambling. Using cryptos in online gambling has many benefits – and one of the biggest is that it allows players to make deposits and withdrawals at casinos easily – regardless of their country. As we’ve seen in the US and other countries who look unfavourably towards online gambling, banks and credit card processors have, often, banned online gambling transactions completely – and cryptocurrencies allow players to circumvent these restrictions and play on their terms. Another massive benefit is the speed at which crypto transactions are made. Typically, it takes just a minute or two for transactions to complete – and this completely revolutionised the way in which players can receive withdrawals when using crypto. In this guide, we’re going to be taking a look at four of the most popular cryptocurrencies in online gambling; Bitcoin, Zcash, Ethereum, and Dash. Bitcoin has become incredibly popular over the last year or two, and frequent mainstream media coverage has helped the world’s most popular cryptocurrency immensely. The popularity of Bitcoin has gotten so high, that even some of the world’s largest financial institutions have begun buying into Bitcoin – and as more industries started to accept Bitcoins, it wasn’t going to be long until online casinos began taking it as currency. 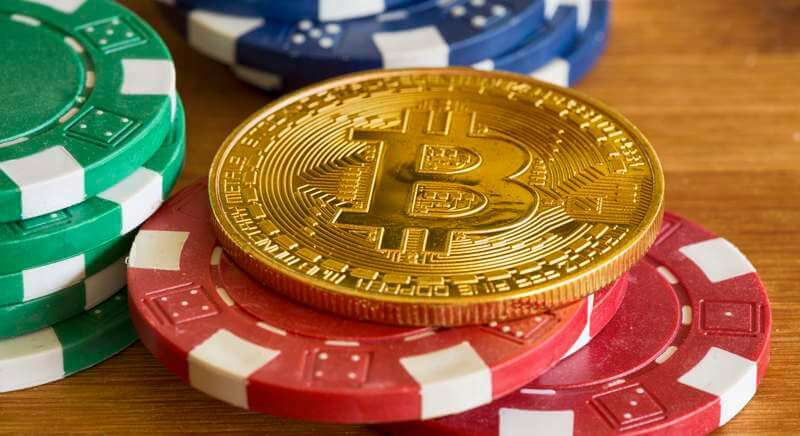 Today, Bitcoin casinos are commonplace, and while some operate shadily (in the fact they sometimes not licensed), thankfully, reputable casinos are beginning to accept Bitcoin – and later on in this section, we’ll take a look at some of the top online casinos that receive it. First, let’s take a look at what Bitcoin is – and how it works. Bitcoin: What Are They, and How Do They Work? Bitcoin was first created back in 2008/2009, and it was built by Satoshi Nakamoto – an anonymous developer, who uses the pseudonym to remain anonymous. While Satoshi is believed to reside somewhere in Asia, this is purely speculation – and it’s possible that it may not even be just one person – a group of people could be behind the technology. After publishing various white papers on Bitcoin, and Blockchain technology, Satoshi released Bitcoin to the public in 2009 – although it wasn’t until a few years later than the cryptocurrency started to become popular. Bitcoins are a virtual currency – with a real world value – and this allows people around the world to make payments, receive payments, and carry out financial transactions without needing to use conventional currencies or commodities. Bitcoins are entirely electronic (there’s nothing physical about it), and the technology behind them is completely open-source, meaning anyone – with the right tech knowledge – can see how it works, and how it’s built. No single person owns or controls Bitcoin (it uses peer-to-peer technology), and it’s a highly-secure and (mostly) anonymous way to send and receive money instantly. In a simplified example, Bitcoins can be thought of much like traditional bank accounts. Users each have their bank account (except with Bitcoin, these are known as ‘Wallets’), and to send and receive money, just a few details of the other person’s wallet are required. Now, Bitcoin wallets use what’s known as a ‘Bitcoin Address’ to send and receive coins. This Bitcoin Address is similar to a bank’s sort code or account number, in that it acts as an identifier. So, if you want to send Bitcoins, you need someone else’s Bitcoin address; if you want to receive Bitcoins, you need to know your address. To begin using Bitcoin, you will need one of the Bitcoin Wallets we talked about – and in the following section, we’ll look at the different types of wallet, and their pros and cons. There are three main types of Bitcoin wallet, all of which we’ll look at below. Online Wallet: An online Bitcoin wallet is one that is only accessible online. These are the easiest types of Bitcoin wallets to open, yet they’re also the most vulnerable, as you’re putting your trust in the company running the wallet. Some notable examples of online wallet services include LocalBitcoins and Coinbase. Local Wallet: A local Bitcoin wallet is one that you download to your computer, to a USB stick, or another type of hardware device. The benefits of using a local wallet, are that the Bitcoins are stored on your device – and you have full and total control of them. The main downside is that it can be a little techy to set up. It can also take an extraordinarily long time to download and set up a local wallet, as most of them require you to download the full Bitcoin Blockchain. Physical Wallet: A physical Bitcoin wallet is an actual piece of hardware that store your private keys offline (so that malicious third parties can’t access them), and they are, by far the most secure way of storing Bitcoin. Physical wallets are similar to a USB stick, in that most of them can plug into a computer – and some even have added layers of security, including two-factor authentication. Buying and selling Bitcoin is relatively straightforward, and the first thing you’ll need to do is get yourself a Bitcoin Wallet. Once you have a wallet set up, if you want to buy Bitcoin, you’ll need to find a Bitcoin exchange; this includes sites like Bittylicious, Coinbase, Coindesk, and Coincorner. Each of the sites above offers a wide variety of buying options – and you’ll be able to use methods including wire transfers, Paypal/Neteller, cash, and more. 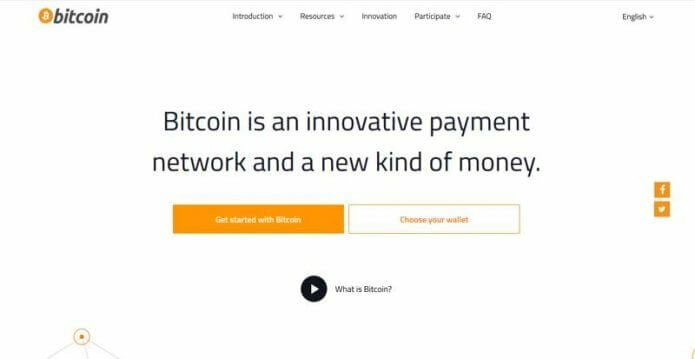 To sell Bitcoin, you can use one of the sites listed above too, where you’ll then need to select the payment method you want to use to receive payment and go from there. All reputable Bitcoin exchange websites will offer detailed guidance on buying and selling, so it’s always best to have a full read through if you’re unsure or have any questions. You need to open your Bitcoin wallet and make a transaction to the wallet address provided by the casino. Once you’ve confirmed the transaction, the funds will typically appear in your casino account within a couple of seconds – although some casinos may require you to wait until the transaction is confirmed on the Blockchain before the funds are credited to your account. Withdrawing funds from a casino using Bitcoin is also relatively simple, and you’ll merely need to open up your Bitcoin Wallet, copy the wallet address that you wish for the Bitcoin to be sent to, and then head over to the casino’s cashier page. Here, you make a withdrawal as you would using any other payment method, and once you’ve selected Bitcoin as your withdrawal method payment, you’ll be asked to input your wallet address. Once the casino has processed the withdrawal, you’ll be able to see the funds available in your wallet right away, although, similar to depositing, you may be required to wait for three confirmations before they appear entirely. Zcash is a relatively new cryptocurrency that is primarily designed to offer greater privacy to users – this is achieved by using cryptography, and while it’s nowhere near as popular or well-known as Bitcoin, it’s starting to grow in popularity, and fittingly, online casinos are beginning to accept the cryptocurrency slowly but surely. In this part of the guide, we’ll take a look at what Zcash is, how it works, and how it’s used at online casinos. Zcash was first released in October 2016, and despite only having been around for a couple of years, the cryptocurrency has been quick to pick up momentum, acting as a more secure alternative to Bitcoin. Due to the secure nature of Zcash, and the fact that users have the ability to disclose transactions for auditing – should they wish – it’s said that it has a greater chance of becoming mainstream, than Bitcoin. Zcash is sent and received in much the same way that Bitcoin is. Users who want to trade Zcash will need a wallet address. Once this is acquired, it’s possible to buy Zcash from exchanges, from people in person, or, if you’re technologically inclined, by mining them yourself. You can then send them to a Zcash address as you desire. Depositing using Zcash is incredibly easy, and all you need to do is log onto the casino you want to play at, grab your wallet address from the cashier, and then head to your Zcash wallet. Just enter the amount you wish to send, enter the casino’s wallet address, and confirm the transaction. It will then be carried out instantly, and your funds will be available within your online casino account in a matter of seconds. Like depositing, withdrawing using Zcash is also incredibly easy, and you firstly need to head to your Zcash wallet and grab your wallet address. Once you have this, head to the cashier page at the online casino you’re playing at, and make a withdrawal. They will ask you to enter the amount, and your Zcash wallet address, and once you’re happy, process the withdrawal. As soon as the casino approve it, the Zcash will be sent instantly, and you will then find it within your Zcash wallet! Ethereum is a form of technology that works similarly to Bitcoin, that allows users to securely and anonymously make monetary transactions. In this section of the guide, we’ll take a look at what Ethereum is, how it works, and how it’s used. 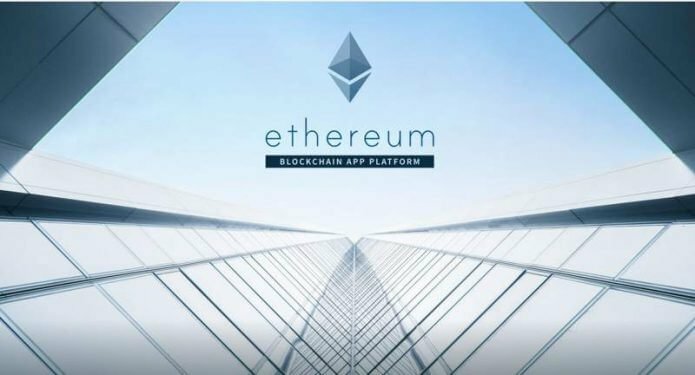 Ethereum is a decentralised, public Blockchain-based piece of software that facilitates many decentralised applications. It works on a network of thousands of clients, and like Bitcoin, it allows users to make transactions. The digital currency that runs on the Ethereum Blockchain is called ‘Ether’, and Ether is generally regarded as being more secure, more privacy-orientated, and more useful than Bitcoin. While we’re not going to get into the tech specifics of Ethereum and Ether here, it’s worth remembering that while Ether works similarly to Bitcoin, it’s completely different – and the technology, also while similar, is vastly different too. Like Bitcoin and other popular cryptocurrencies, Ether is stored in wallets – and when you want to send or receive Ether, you will need a wallet address to make a transaction. It’s possible to view all Ether transactions on the Ethereum Blockchain, and like Bitcoin, transactions typically don’t take too long – although the exact time they take to complete is dependant on the current status of the Ethereum network, and the fee associated with the transaction. Depositing using Ether is simple, and all you need to do is head to the casino you’re looking to play at, and find the wallet address you need to send the Ether too. Once you’ve copied and pasted this address, just head to your Ether wallet, enter the address, choose how much you want to send, and confirm the transaction. You will then notice the transaction appear in your chosen casino’s transaction page, and shortly, you’ll see your funds become available. Withdrawing using Ethereum is again, incredibly easy, and all you need to do is head to the cashier section of the casino, and select the Ethereum option as the withdrawal method. Then, head to your Ethereum wallet and copy your receiving address. Head back to the casino, and paste in your Ethereum address and select the amount you wish to withdraw. That’s it! Once your withdrawal is processed, you’ll see your withdrawal appear within your Ethereum wallet within a couple of minutes. Dash is a relatively new cryptocurrency that’s focused heavily on privacy, and like most cryptos, it runs on a decentralised network – in this case, a network operated by what are known as ‘masternodes’. Like a lot of cryptocurrencies, Dash is an altcoin that uses much of Bitcoin’s technology to operate, though it’s developers have placed a strong focus on privacy, and as such, Dash is often seen as a more secure and anonymous payment system than Bitcoin. In this part of the guide, we’ll take a look at what Dash is, and how it can be used at online casinos to make deposits and withdrawals. 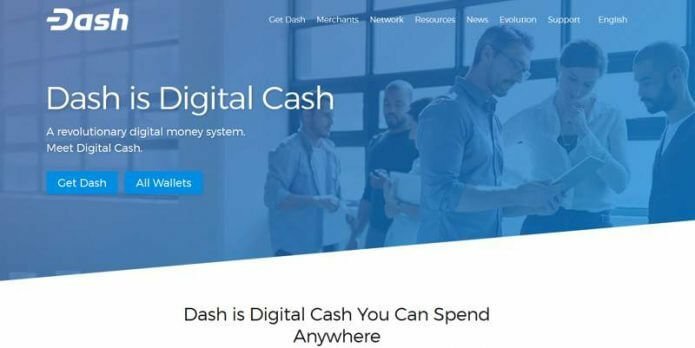 Dash was first launched back in January 2014, and it was initially called Xcoin by its creator, Evan Duffield. Like most cryptocurrencies, Dash was created as a fork of the Bitcoin protocol, and it’s been through a few changes since its creation. In 2015, it was rebranded to be called ‘Darkcoin’ – and around this time, it began getting media attention, particularly as it was beginning to be used by criminals on the Dark Net Markets. A few months later, it was once again rebranded, this time to Dash – and this is a portmanteau of ‘digital cash’. While Dash took a while to gain any mainstream popularity, today, it’s one of the most popular cryptocurrencies in existence, and the total market capitalisation is estimated to be around $4.3 million. Like Bitcoin, Dash is entirely decentralised (meaning no single person, body, or organisation has control over it), and it runs on a Blockchain by users – these are the ‘masternodes’ we talked about earlier. Dash is mined, similarly to Bitcoin, and all mining is completed on a ‘proof of work’ algorithm, which is supposed to make it easier to achieve the coin without sacrificing as much CPU. If you wish to make a deposit using Dash, you’ll need to get a Dash address from your casino which generally can be found in the cashier section. Once you’ve got this address, you need to head to your Dash wallet, and click ‘send’. You will then be able to enter the Dash address and the amount you wish to send. Once you’ve confirmed the transaction, it will be processed instantly, and you’ll see the funds appear in your online casino account almost right away. There’s no doubt that cryptocurrencies make the process of gambling online easier for a lot of people. From increased privacy and security to instant, fee-free deposits and withdrawals, there’s a lot to be said for the benefits of cryptos, and as more online casinos start accepting them, it’s likely we’ll see their popularity continue to grow. We will probably see other cryptocurrencies begin to be accepted at casinos as well – although it’s unlikely any will surpass the popularity of Bitcoin, for now at least.